NetBuilders, Inc. mission is to provides reliable and accurate support services. 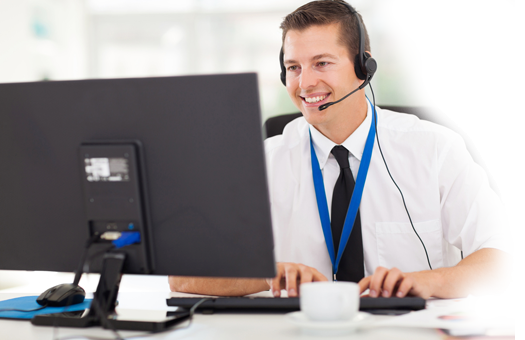 Our extensive technical knowledge, experience, and teamwork offers a unique process that dictates a high level of customer service and confidence. As a customer, you can rest assured that your most important technical questions, work and data are carefully considered. Our team has experience and knowledge to help you with fixes, installation, projects and consulting. Call logging, dispatch and escalation. Hardware, Software and Application Support. IT (technical and administrative) Support Staffing. Installation, Configuration and Repair - Network setup - Clean and test - Firmware upgrades - Device drivers. HP DesignJet Plotter Service - Supplies, Parts and service. Maintenance Programs - Scheduled preventive maintenance programs tailored to fit yourneeds. Quarterly cleaning to reduce downtime. Printer Parts - Maintenance kits, Fusers, Rollers, etc. Printer Supplies - Toner Cartridges, Drums, Transfer kits..
Dell - Authorized Service Provider - Certified in Dell Servers, Desktops, Laptops, Workstations and Printers - Software rebuild - Special Projects - Installation and Configuration (Home or Office) - Tier II service provider for large Corporation - Dell Parts - Data transfer and/or recovery - Application installation and configuration. Special Projects - System upgrades, Computer lab installation, Mobile lab storage and setup. Installation and Configuration of Microsoft Operating Systems (Windows Server 2003, Window 98, Windows 2000, XP, Vista). Installation and Configuration of Microsoft Applications (MS Office, MS Publisher, etc.). Installation and Configuration of Microsoft Networking (tcpip, appletalk, DHCP, DNS, etc). Email configuration (Outlook, Outlook Express, Internet email). System Network design and implementation. Network installation - CAT5e - CAT6 - Fiber - Wireless - Adds, moves or changes - Testing and Certification of existing or new data installation - Network troubleshooting. Wireless configuration - Home or Office - Warehouse RF setup. Voice cablingTermination - Test - Extend to D-Mark - 25/50 pair cable. Phone System Sales - Installation and Configuration - Voice mail - Auto Attendant. Audio/Video Cabling - Speaker - Soundboard installation - Video camera/projector installation. Network Equipment - Hubs, switches, routers, etc. Router Support - installation and configuration.